If a vendor walked in to your office today and asked you, “how much are you currently spending to manage your contingent workforce,” would you be able to answer? Recently, leaders from the Atrium Contingent Workforce Solutions team partnered up with experts from VectorVMS to dissect the challenges faced by companies today and offer insightful solutions. Below are 3 keys to consider when uncovering your business challenges and developing a simplified contingent workforce blueprint that makes sense for you and your organization. Companies that lack efficient processes or technology to manage their contingent workforce program typically also lack accurate data and visibility into things like current spending rates, process and workflow, and workforce needs. Inefficiencies in managing your contingent workforce program could be causing an adverse ripple effect on the rest of your organization’s workflow and overall business goals. The graphic below illustrates the current state of a company that doesn’t have a cohesive program. An inaccurate portrait of your current state leaves managers without data to make business decisions. 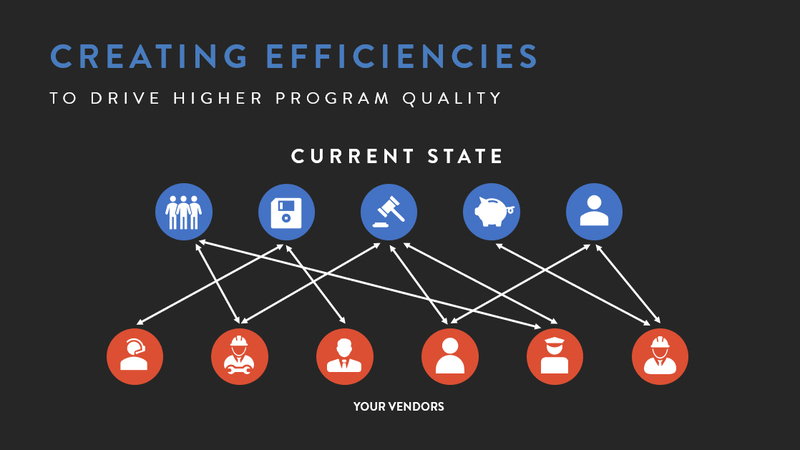 As a result, the program suffers from a lack of solid benchmarks, inconsistent rates, invoicing errors, and other risks. So before you get started, set a foundation for increased visibility. Identify specific pain points within your program and processes to better understand where—and how—to make improvements. A foundation for increased visibility enables you to identify specific pain points within your contingent workforce program and processes. Making strategic improvements prepares you for a successful future state. 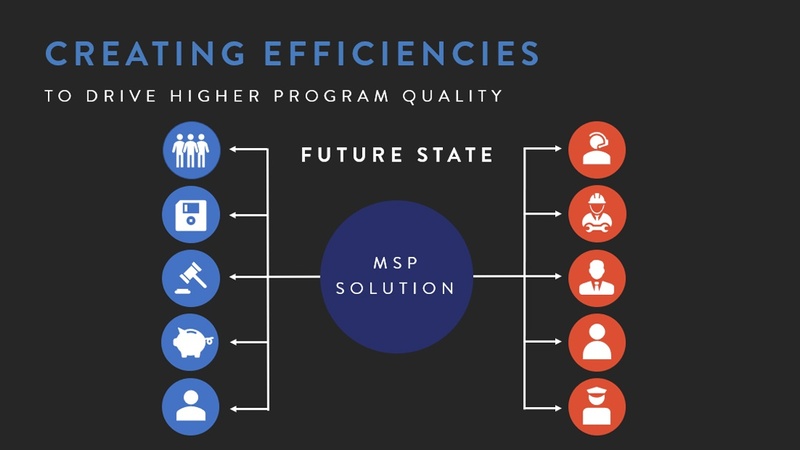 A managed service provider (MSP) coordinates departmental activities and creates consistency across rates, compliance, and process—reducing costs across the board by as much as 15%, increasing visibility, and lowering risk. You’re probably thinking, how do I get there? Successfully managing your contingent workforce program has three key components: people, process, and technology. By asking the right questions, your organization can thoroughly define its contingent labor program and develop an action plan for success. Who is involved in your current temporary resource process? Think senior sponsors and day-to-day implementers and administrators. These are the people who will influence—and drive—your optimized MSP program. Who is in your contingent labor pool? Identify and organize them by market. This will help program stakeholders assess and analyze things like co-employment risk and hard and soft costs. And it will help determine which temporary resource populations are best suited for management through an MSP. What does your existing program consist of? Who does what and when? Where are the inefficiencies, weaknesses, and gaps? Organize current step-by-step processes and workflows, including temporary resource variances, by business unit or another meaningful breakdown. With the process fully captured, your stakeholders can conduct working sessions to review and modify the workflows for greater efficiency and consistent compliance. What internal/external system(s) does your company currently use throughout the process of sourcing, matching, engaging, onboarding, and paying temporary resources? Take into account tools like applicant tracking systems (ATS), vendor management systems (VMS), human resource information systems (HRIS), customer relationship management (CRM), accounting/finance, and contract systems.